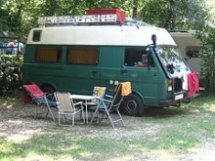 Camper van hire in France?...believe me, something you'll never regret...It's one of those countries that I had visited a few times before, always love to come back and still have a lot to explore. Absolutely one of the most motorhome friendly countries with excellent facilities and opportunities for camper van explorers of all ages. 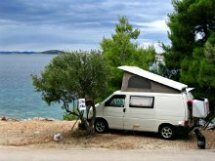 If you don't have your own camper van, France offers quite a few camper van rental companies, that will let you explore this exciting land at you own pace. 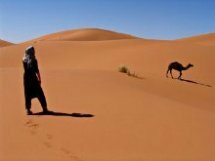 The rich culture and history, geographical diversity and the world wide famous French cuisine from the modest comfort of your camper van conversion...a smart, maneuverable and fuel-efficient vehicle. 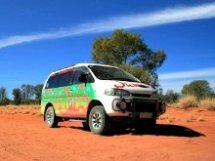 A camper van hire can take you to an unforgettable adventure. The cosmopolitan Paris will spoil you with it's bustling lifestyle, the warm Mediterranean coast and Provence will soak you up in the scent of lavender fields, the wild Atlantic coast will charm you with small medieval towns and the coast of Normandy in the north part and the tallest European sand dunes in the south such as the Dune de Pyla. A lot of surfing on the Atlantic coast! You can hike and bike or even rent a boat on the 240km(150mi) long Canal du Midi , stretching from the Atlantic Ocean all the way to the Mediterranean Sea, tour around the 270km(170mi) of the Loire Valley, also known as the garden of France or enjoy the modern skiing resorts in the French Alps. And don't forget the beautiful island of Corsica, the last home of the famous French emperor Napoleon. This is merely mentioning just a few of the things worth seeing in France. You can easily spend months or maybe even years discovering and slowly enjoying everything this great country has to offer. An excellent road network, top quality wine served just about around every corner, enticing scents from local perfumeries and all the culinary superlatives are just the icing on the cake! And if you have time to spare, Spain is close enough and Italy is not that far away. And other European countries are close by. 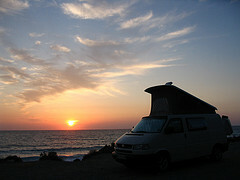 With the camper hire France you really have many options to choose from. France offers a variety of options for van camping. 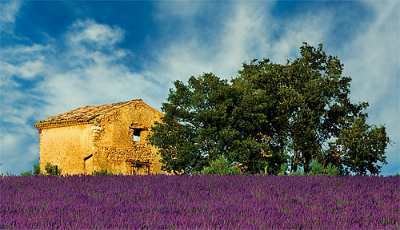 There are well over 10,000 camp sites to suit all budgets and different lifestyles such as naturists and nudists, thousands of camper stops called "Aires de Service" and the France Passion guide offering overnight stays at agricultural farms. 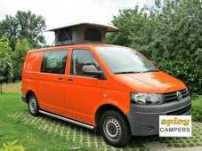 A practical camper van hire in France will let you explore this marvelous country in a hassle-free camper van conversion. It's a drive when you feel like it, and park it (almost) where you want kind of an adventure. You can bend the rules (what a dumb expression) a little bit even in France if you feel like it. 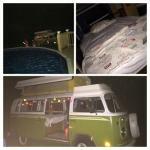 Just find the right spot, usually you'll find other camper vans and motorhomes parked there. 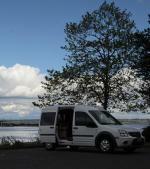 Check out our camper van rental links page and find a rental company that suits you best. And before you hit the road, just remember to clean up the spot you stayed at for others to enjoy and to keep mother earth healthy! That's not really hard to do, is it?